The Alliance enlists many partners to help serve students and support the efforts of our campus colleagues. This program helps students decide which Oregon private college is right for them. The event takes place annually the last week of July. 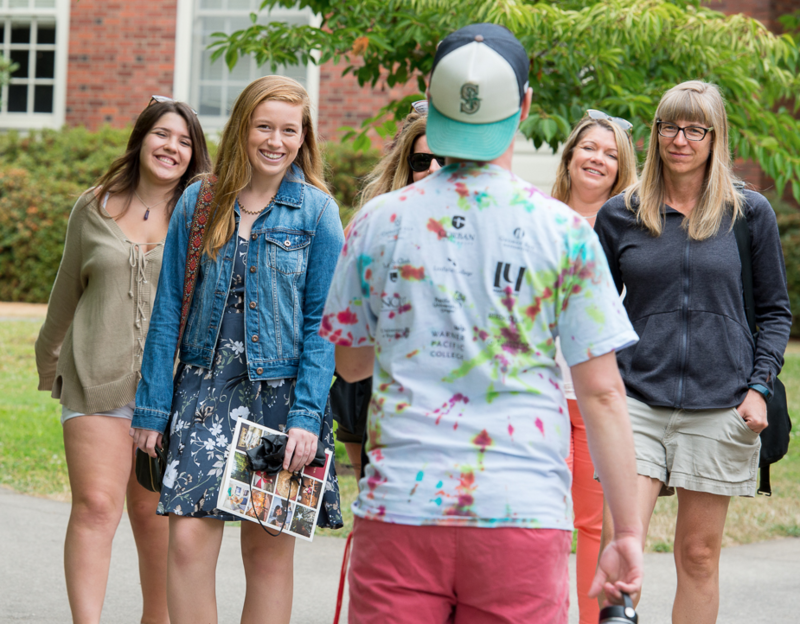 E3 – Earn, Educate, Empower is an innovative, need-based financial aid program that pairs resources with eligible students pursuing a college education at one of Oregon’s leading private colleges and universities. E3 makes college more affordable by matching student savings at an 6:1 ratio, giving students a total of $3,500 to use for tuition or approved educational expenses per enrollment year! E3 allows income-eligible students to enroll in college and graduate with, if not lower loan debt, lower financial stress and more time to focus on academics. By doing so, E3 increases access for Oregon’s fastest growing group of students, allowing them to acquire a lifetime asset and change the course of not only their future but their families’ future. Finally, E3’s first tenet – Earn – foregrounds the importance of financial habit building, so that the program can also Educate and Empower Oregon’s next generation of successful scholars, businesspersons, creators, innovators and leaders. E3 is a program of The Alliance, administered in partnership with CASA of Oregon. Undergraduate students who are enrolled full-time at any Alliance institution may take a maximum of one undergraduate course per semester at another Alliance campus. No additional tuition will be charged for the cross-registered course by either institution, except that if the home institution has an “overload” tuition policy, or the host campus charges special course fees (e.g. laboratory fees) that apply to all students enrolled in the course. Interested students should consult with their academic advisor and dean before cross-registering, then consult with the registrar to initiate the appropriate paperwork. The Undergraduate Cross-Registration Form is available for download here. Contact the registrar’s office at an Alliance college or university to learn more. The Alliance coordinates and programs affinity group meetings for various positions across Alliance member campuses. Typically held twice a year for each group, these meetings address changes in legislation, training needs, other discussion topics specific to Oregon. For more information please contact Stacey Boatright at stacey@oaicu.org. 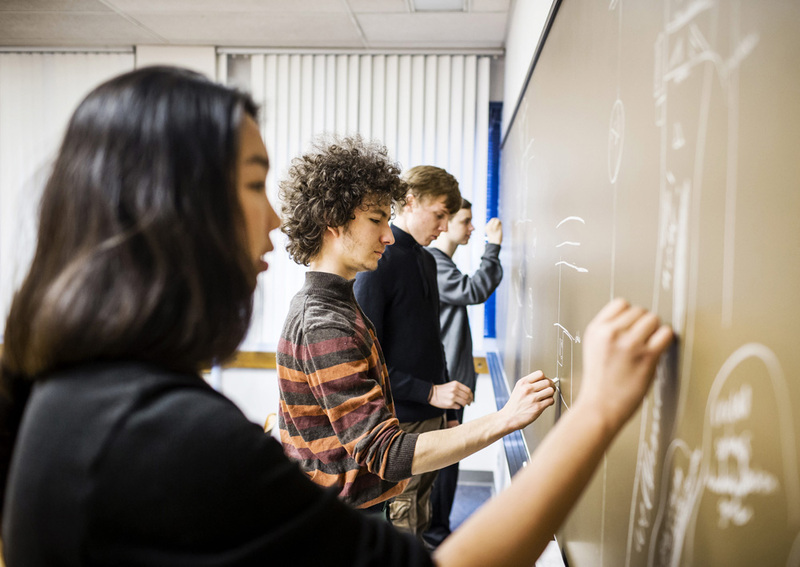 The Coalition for College Cost Savings leverages the collective buying power of private colleges to reduce operating costs, improve the efficiency of internal procedures and ultimately lower the cost of delivering education. The Oregon Alliance of Independent Colleges & Universities’ membership in the Coalition for College Cost Savings means all of our members have access to any of the twelve cost-saving programs they offer. The Coalition’s programs fall into four categories: Financial, Benefits, Procurement & Campus Services. visit www.thecoalition.us or contact Brent Wilder at brent@oaicu.org. Handshake is an online portal where students find job and internship opportunities and employers find talent. Over 475 college and university career centers use and trust Handshake to assist students and young alumni connect with employers through a single integrated network. According to Handshake, over 200,000 employers- including approximately 3,000 Oregon employers and all of the Fortune 500 Companies are active on Handshake. As a result, most colleges and universities see the relevant job opportunities double or triple within the first six months of switching to Handshake. Click here to learn more about Handshake’s features. Visit Handshake’s Career Services Help Center for access to short videos, tutorials and materials that will help campus staff learn more about the program. As an employee or staff member of an Alliance member institution, you are eligible for Auto and Home/Renters Insurance from California Casualty. They offer customized insurance for employees of Alliance member institutions with substantial savings and professional discounts. Learn more here or contact Sherry at shanacek@calcas.com. Alliance-member campuses can access moving and storage services for its employees at a considerable discount – for some services, more than 60 percent off the regular price – thanks to partnerships with the local Westside Moving and Storage (Mayflower Transit Co.) and Suddath Moving & Storage (United Van Lines) companies. Discounted services include interstate moving, storage during transitions, and more. 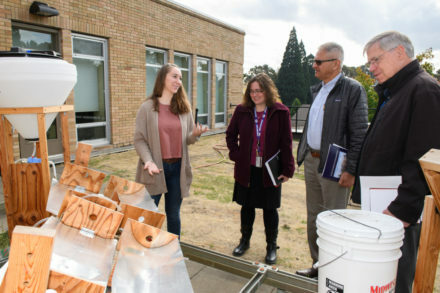 Since 2014, The Alliance and the Oregon Community Foundation have partnered to fund projects in Oregon that actively engage Alliance institution faculty and undergraduate students and an industry partner in research focused on conservation. These opportunities have been made available through a grant to The Alliance from the Katherine Bisbee II Fund of the Oregon Community Foundation. Up to two $10,000 grants are awarded each year. Handshake is a modern career center management platform that supports the colleges and universities, their students and alumni, and employers. This platform provides a single portal where employers can seamlessly recruit talent from participating Alliance institutions, resulting in more opportunities and a better employer and student experience.